My cousin gave about 3 dozen peaches today. I was super excited because it is so rare to find local produce that’s grown in the middle of the desert. 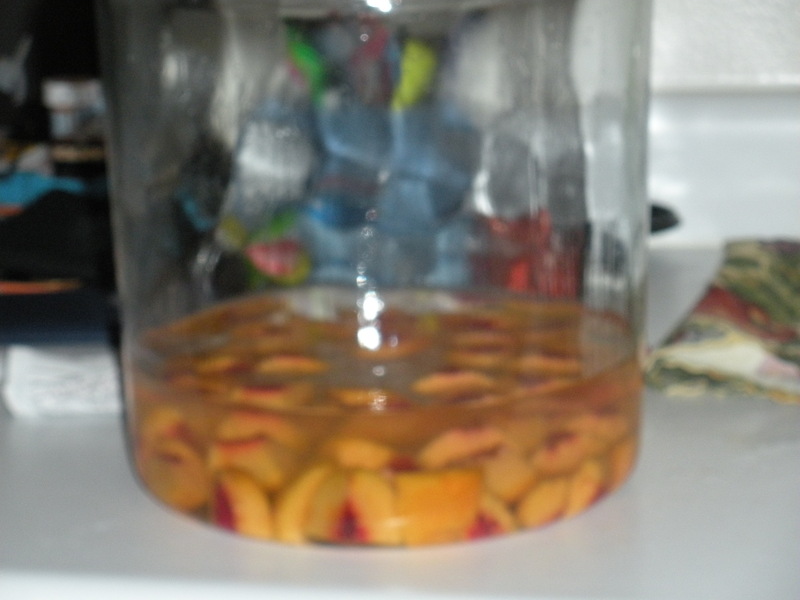 The peaches were ripe, so I needed to figure out a way to use them immediately. Idea number one? 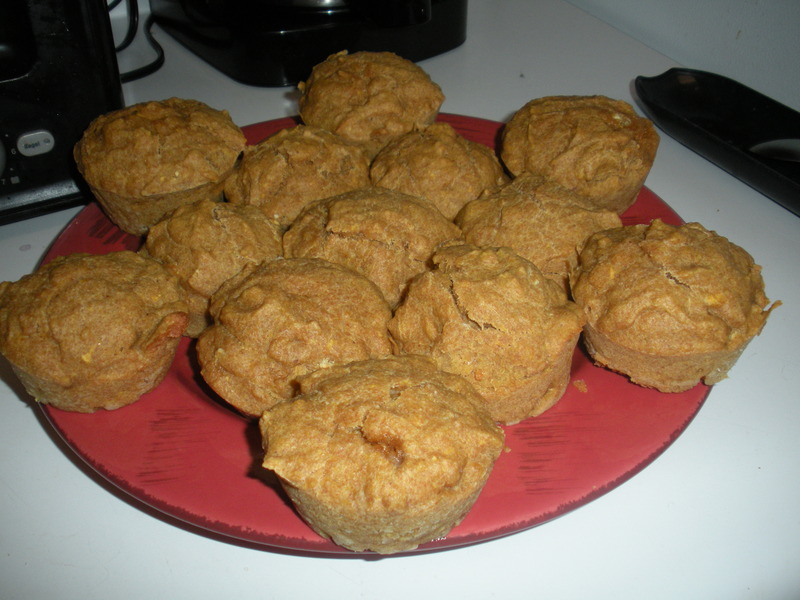 Peach-whole wheat muffins. 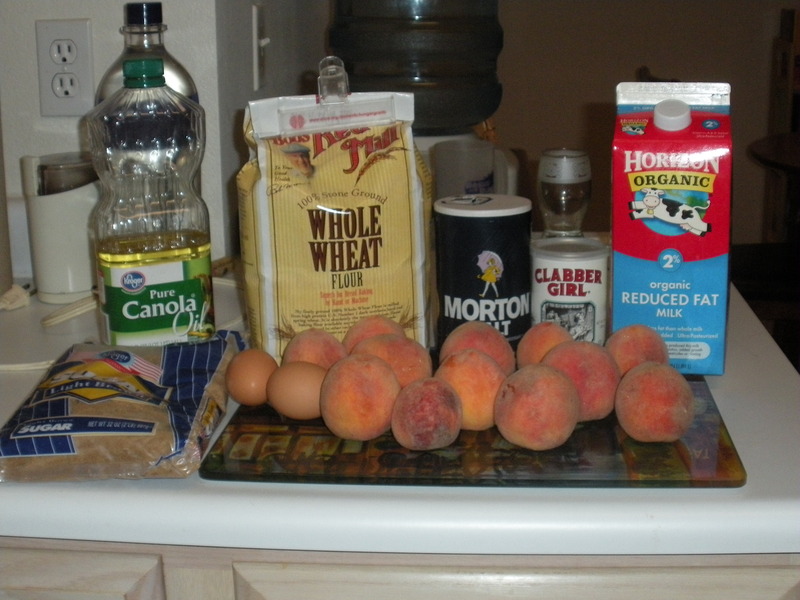 For ingredients, you’ll need 4 cups of chopped, peeled & pitted peaches, 4 1/2 cups of whole wheat flour, 1 tablespoon baking powder, a pinch of salt, 2/3 cup packed brown sugar, 2 eggs, 1/2 cups canola oil, and 1 cup of milk. Preheat the oven to 350 degrees Fahrenheit. 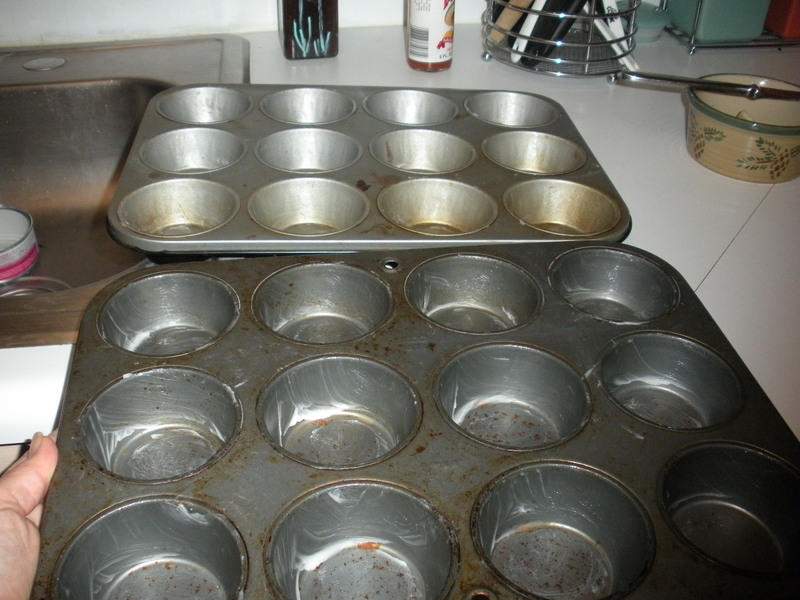 Grease two 12-cup muffin tins with Crisco. Chop, pit and peel the peaches. 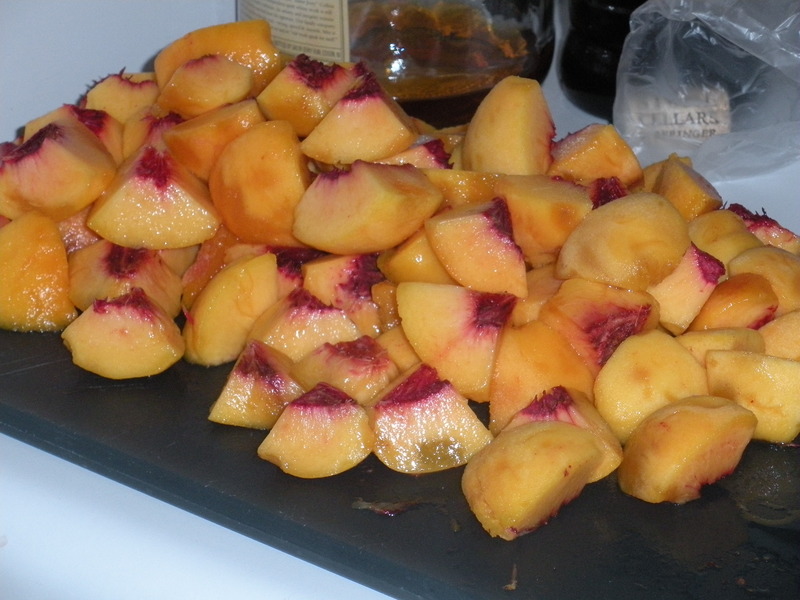 Place peaches in a food processor or blender to puree. 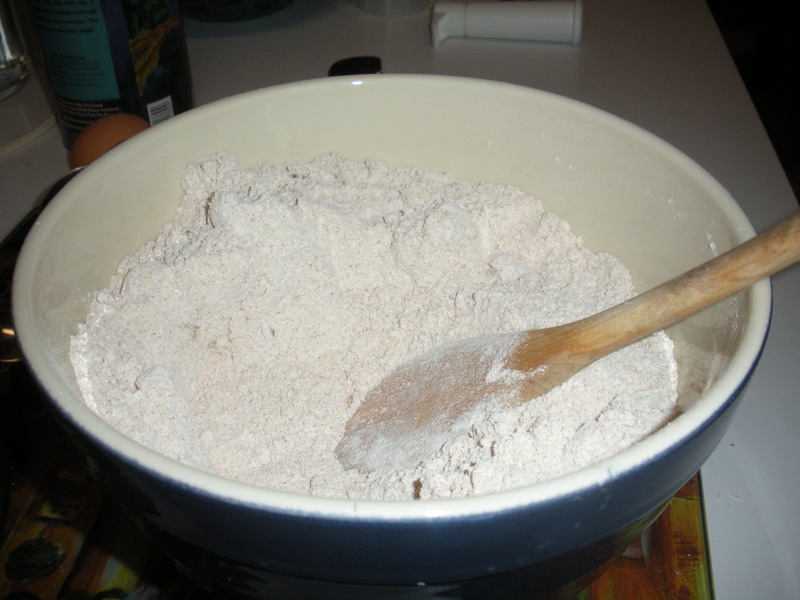 In a medium bowl, combine the flour, baking powder, salt and sugar with a spoon. 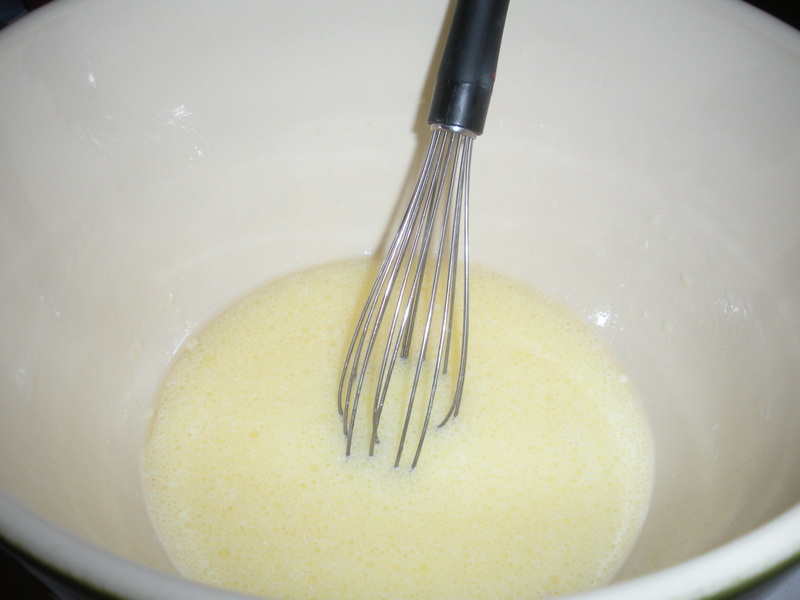 In a large bowl, whisk the eggs, oil and milk. 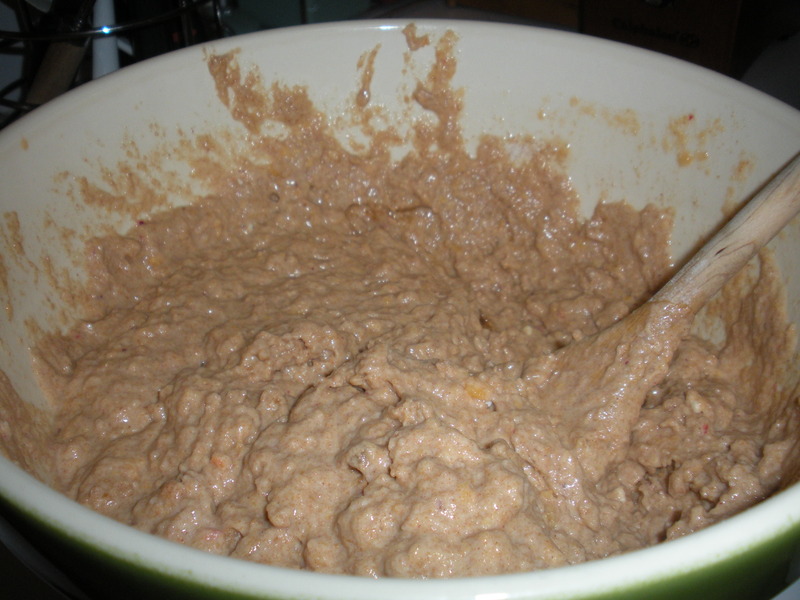 Add the peach puree and flour mixture and mix until combined. 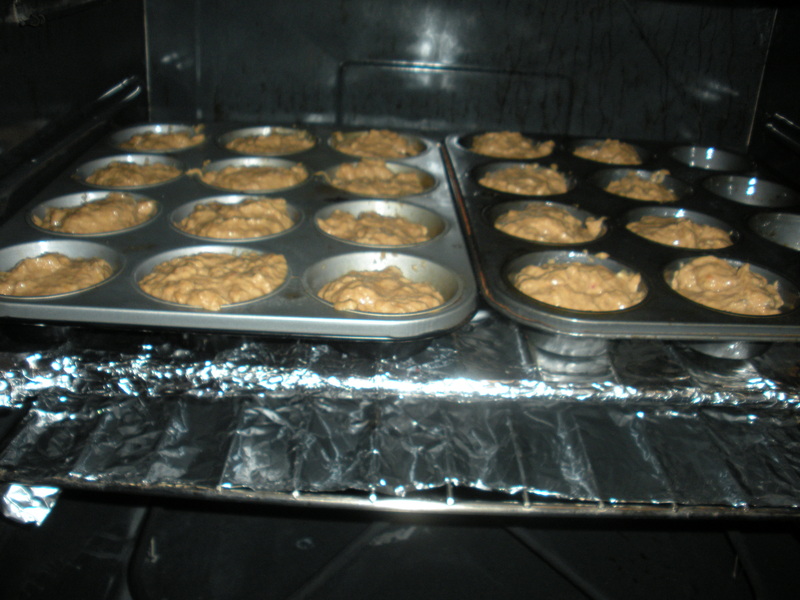 Spoon the mixture into the muffin tin, ensuring each cup is filled about 2/3 full. Bake for 20 minutes. Remove from oven and let cool for 5 minutes in the tin before the muffins are ready to serve. This recipe makes about 20 muffins. This entry was posted in DIY, Healthy Living, The Simple Living Experiment and tagged Baking, Muffin Recipes, Peach Muffins, Peaches, recipes. Bookmark the permalink. 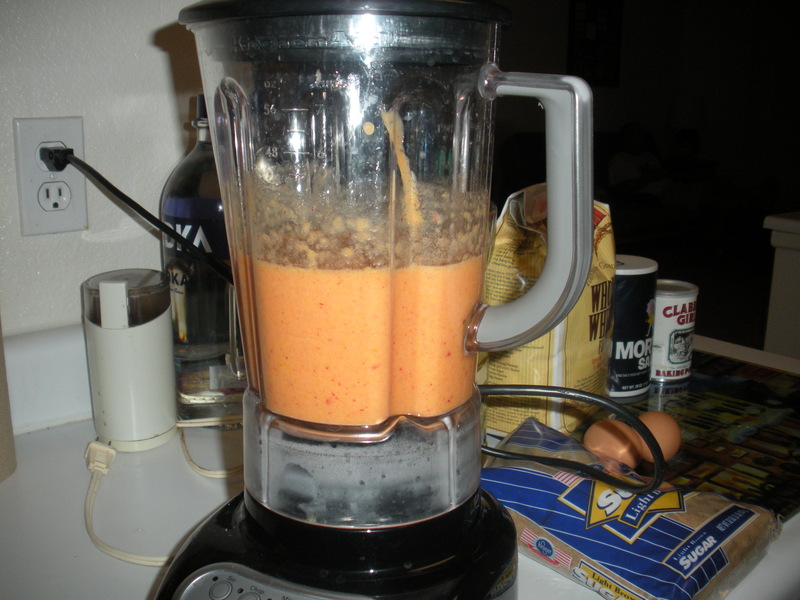 as a peach person, I am trying your recipe today!!! !